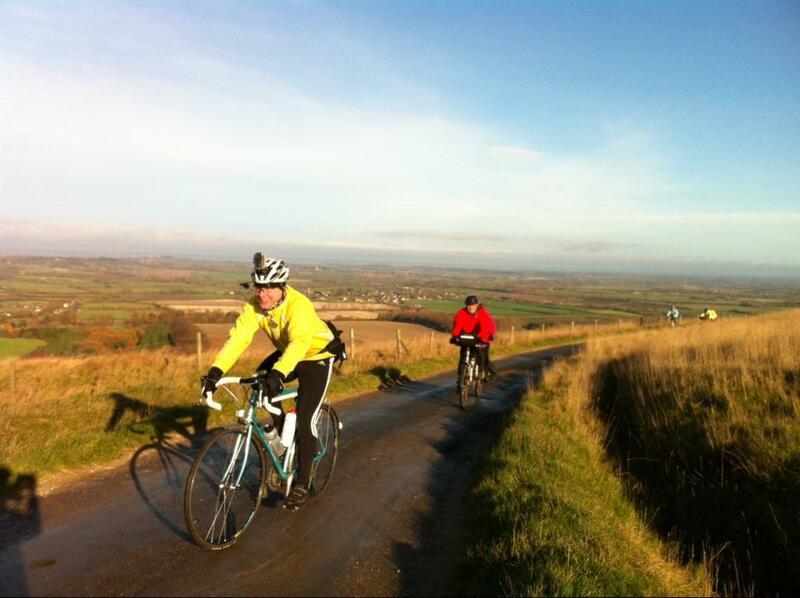 For full details of the event see the "Annual Mince Pie Ride" entry. The 2* ride will leave after the 3* group at about 10:00 - but please arrive at least 10 minutes beforehand to register. 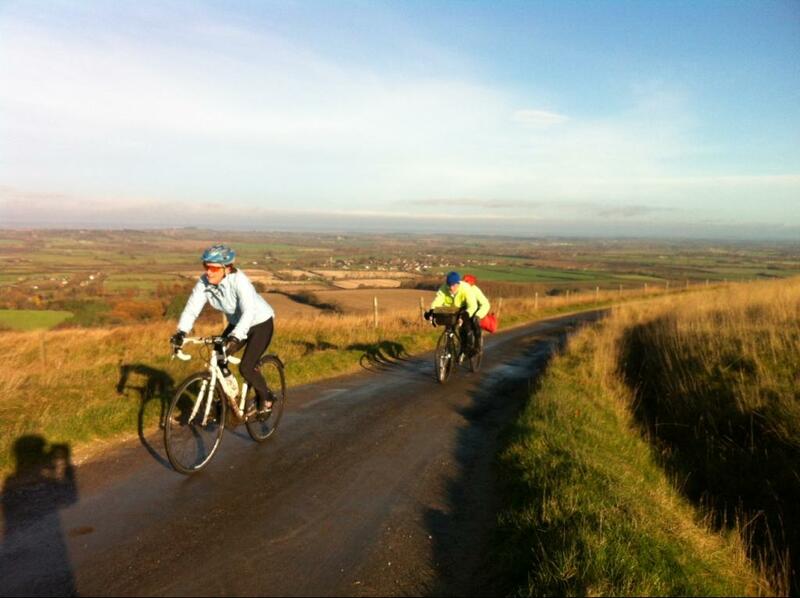 Afterwards we'll be heading back to Wantage via a loop through the Vale. Another great turnout with 22 2* riders leaving Wantage Market Place and we seemed to pick up a few more riders en-route as well! The group kept together well all the way to the foot of Dragon Hill where it was a case of every rider for themselves up the climb. The cattle grids seemed particularly slippy this year and we had a slight headwind, but the sun was shining and, I think, everyone enjoyed the climb. The car park with its promise of mulled wine and mince pies was a welcome sight and the chance to chat with riders from the other groups was a bonus. A much smaller 2* group left the car park for a loop around the Vale and back to Wantage, with several groups making their own way home or joining the group heading for the meal in East Hanney. Unfortunately the Puncture Fairy was out on the approach to Woolstone, a large thorn was quickly removed and a new tube installed and we were on our way. Various people dropped off as we passed close to their homes and 3 of us returned safely back to Wantage Market Place. Thanks to Glen for sweeping and thanks to all the riders for coming out and helping to raise money for a great cause. A special welcome to Chris on his first group ride, hopefully we will see you again soon. I apologise that the GPS track doesn’t start until Letcombe Regis, operator error! The distance was actually 39.6 km or 24.6 miles. Arriving at the top of Dragon Hill. Janet, Peter & Ros make it to the top!